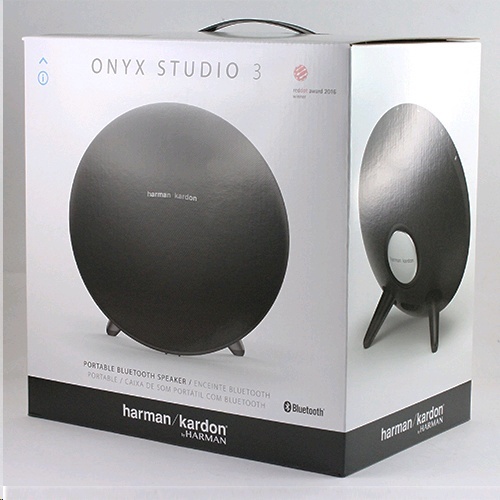 Crafted with high-end materials, the Harman Kardon Onyx Studio 3 is a full-featured, portable Bluetooth speaker that delivers powerful audio with the iconic Harman Kardon design. 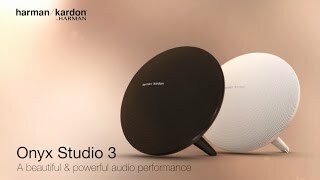 You can enjoy music up to 5 hours of playtime thanks to the rechargeable battery and wirelessly connect two Harman Kardon Wireless Dual Sound enabled speakers together to elevate your music listening experience. 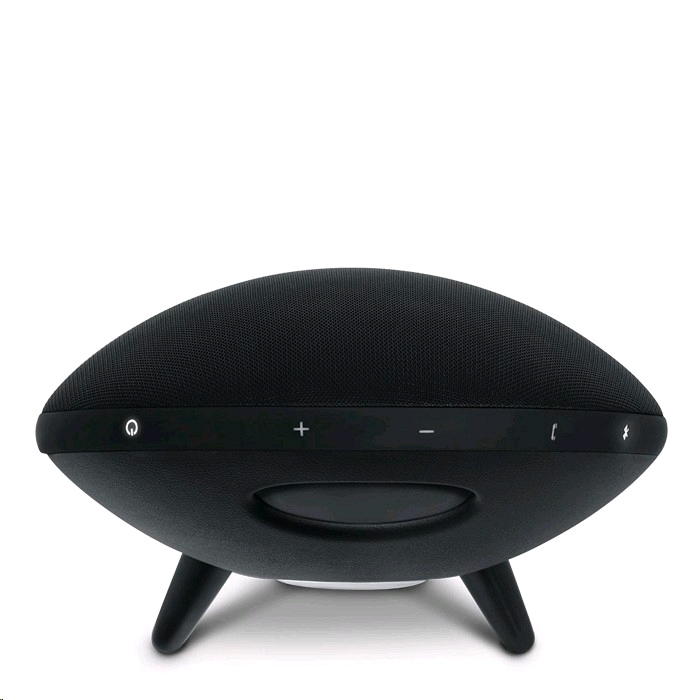 Users will be able to make clear phone calls with the speaker from its built-in microphone which is powered by noise and echo cancelling technology. The exquisite design will enhance the style and compliment any room.